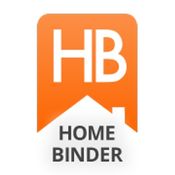 HomeBinder allows you to organize and save all related home information in a convenient online application. From storing paint colors to getting maintenance reminders, HomeBinder will help get your home ownership off to a great start. It will ensure you have all the details you need in the future right at your fingertips. Best of all, we’ll get it setup for you to minimize the effort to begin managing your greatest asset. Although you’ll probably not think about selling for some time, when you do, your HomeBinder will help with buyers, your accountant and the appraiser. We will give you lifetime of ownership access to HomeBinder Homeowner Edition (otherwise $12/year) as part of your inspection. You can learn more at www.homebinder.com.